Ocarina's are globular shaped "vessel flutes" that are found around the world including China, Russia, North and South America, New Zealand, Africa and Europe. It is said the term ocarina was coined in Italy in the 1860's when ocarina bands were popular. Their shape in Italy at that time resembled a goose in flight thus the term "little goose" or ocarina. Others say that the term had been used even before then. 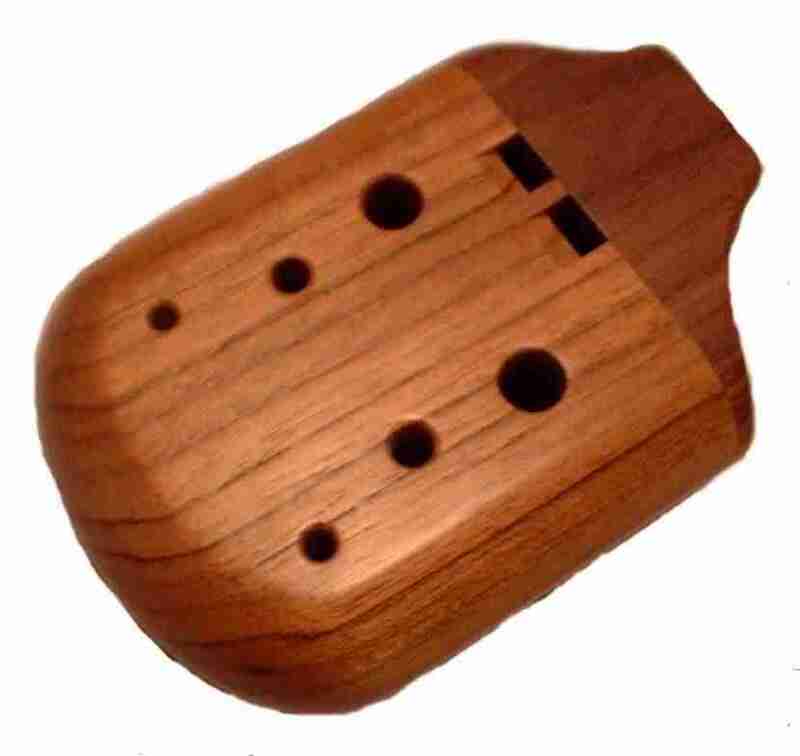 You can read a more thorough history of the ocarina on the website of "The Ocarina Originators" at www.ocarina.demon.co.uk. Although our ocarinas are made of wood and have two chambers they are far more commonly made of clay with a single chamber. Each instrument varies slightly but is tuned to itself. This handcrafted hardwood instrument can be played on one side, or the other or together, playing melody and harmony to create a very impressive voice. Each side has four holes, 3 on top and 1 for the thumb, and has a range of one octave. The woods will vary depending on availability and as this is handcrafted the general shape will remain the same but there may be variations. 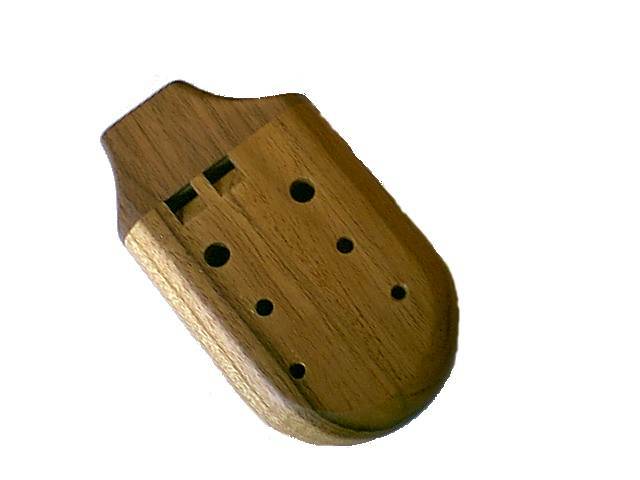 We will include information on the type of wood your ocarina is made from. 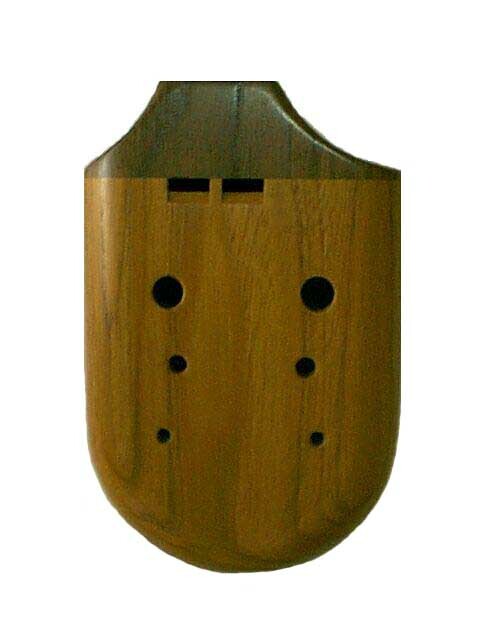 Each instrument is individually tuned, shaped and finished for an exquisite ocarina with a clear and resonate sound. The Double Alto is tuned approximately to a G on the high voice and a D on the low voice. Click on order Double Alto Ocarina to order your Double Alto for $180 plus S&H. The Double Tenor Ocarina is in the key of C on the high voice and G on the low. It has a rich tone and is made of the same quality hardwoods as our alto. It sells for $210 plus S & H.
The Double Soprano Ocarina is in the same key as the Tenor, an octave higher. It sells for $165 plus S&H. To learn more about our ocarinas click on The North Country Workshop button. Click on Ocarina Links button to see what others are doing with ocarinas!